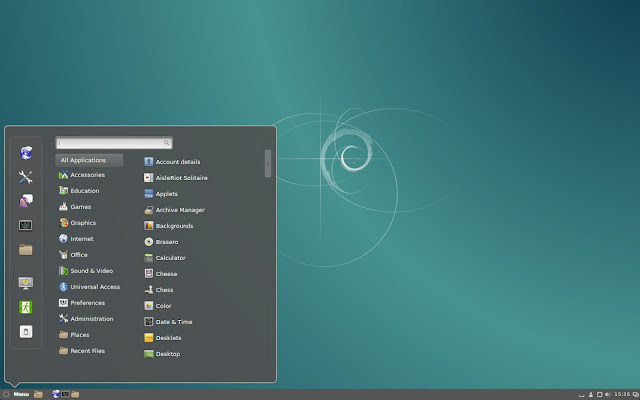 Other than Gnome and KDE, Cinnamon is another desktop environment that is used by many people. It is made by the same team that produces Linux Mint (and ships with Linux Mint) and can also be installed on several other distributions. The latest version of this DE – Cinnamon 2.8 – was released earlier this month, and it brings a host of bug fixes and improvements as well as some new features. I’m going to go over the major improvements made in this release as well as how to update to Cinnamon 2.8 or install it for the first time. Improvements to Applets : There are several improvements to already existing applets for the panel. 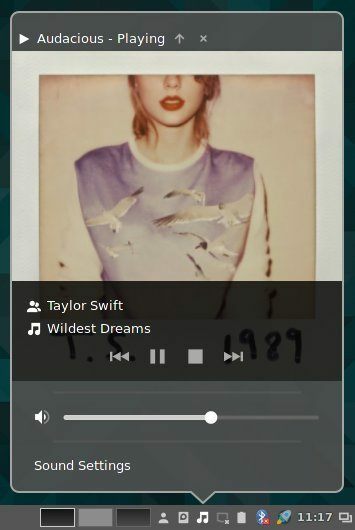 The Sound applet was revamped and now displays track information as well as the media controls on top of the cover art of the audio file. For music players with seeking support (such as Banshee), a progress bar will be displayed in the same region which you can use to change the position of the audio track. Right-clicking on the applet in the panel will display the options to mute input and output devices. The Power applet now displays the status of each of the connected batteries and devices using the manufacturer’s data instead of generic names. 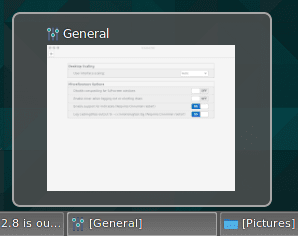 Cinnamon 2.8 brings the option to show window thumbnails when hovering over the window list in the panel. You can turn it off if you don’t like it, though. Adding the Workspace switcher applet to your panel will show you a visual representation of your workspaces with little rectangles embedded inside to show the position of your windows. Cinnamon 2.8 brings support for app indicators in the system tray. You can easily disable this in the settings which will force affected apps to fall back to using status icons instead. A host of visual improvements were made in Cinnamon 2.8. The classic and preview Alt + Tab switchers were polished with noticeable improvements, while the Alt + F2 dialog received bug fixes and better auto completion for commands. Also, the issue with the traditional animation effect for minimizing windows is now sorted and works with multiple panels. The default file manager for Cinnamon also received several bug fixes and has a new “Quick-rename” feature for renaming files and directories. This works by clicking the file or directory twice with a short pause in between to rename the files. Nemo also detects issues with thumbnails automatically and prompts you to quickly fix them. Applets now reload themselves automatically once they are updated. Support for multiple monitors was improved significantly. Dialog windows have been improved and now attach themselves to their parent windows. HiDPI dectection has been improved. QT5 applications now look more native and use the default GTK theme. Window management and rendering performance has been improved. If you’re running Linux Mint you will get Cinnamon 2.8 as part of the upgrade to Linux Mint 17.3 “Rosa” Cinnamon Edition. The BETA release is already out, so you can grab that if you’d like to get your hands on the new software immediately. For Arch users, Cinnamon 2.8 is already in the official Arch repositories, so you can just update your packages and do a system-wide upgrade to get the latest version. Have you tried Cinnamon 2.8? What do you think of it?